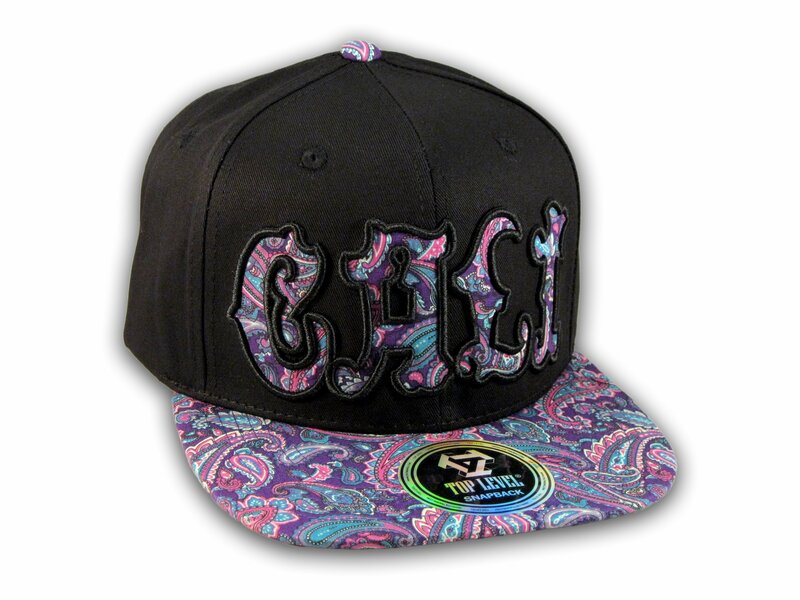 ★ This is a High Quality Black California Republic Hat with Purple Paisley. 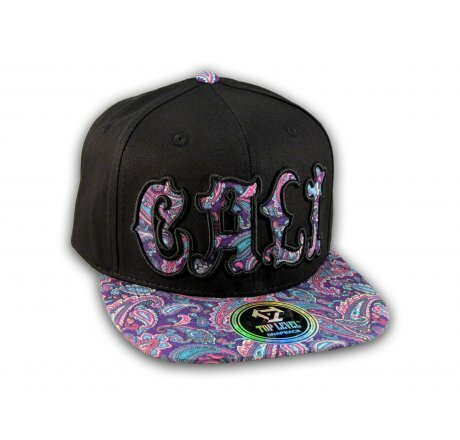 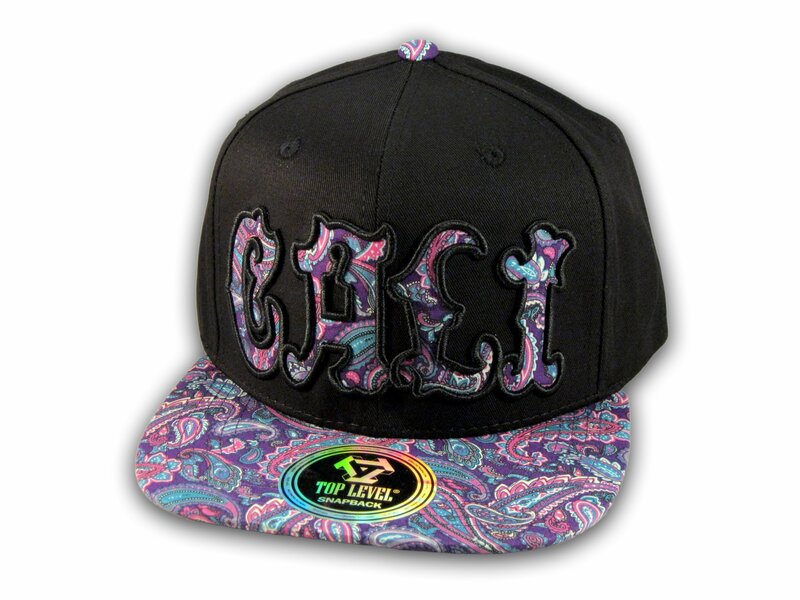 It has Embroidered Cali Script in 3D on the Front with Cali Embroidered Stitching on the Back! 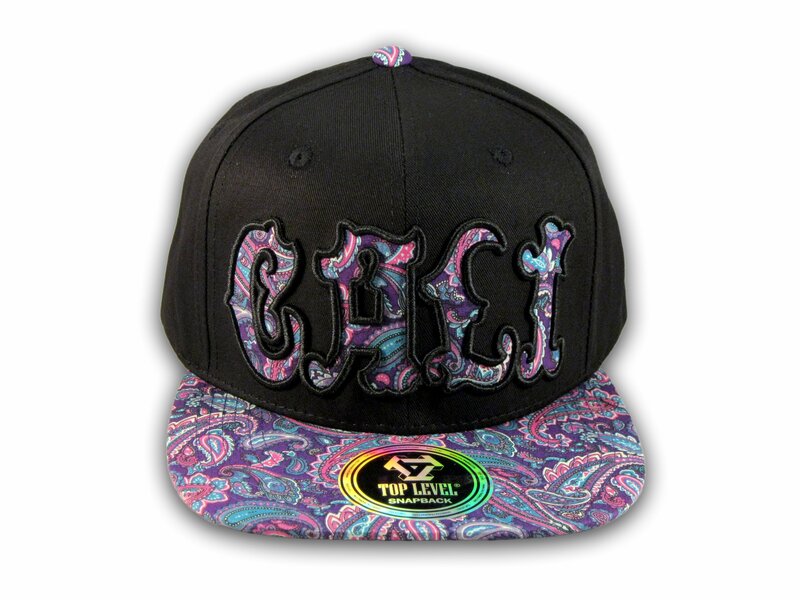 It's an adjustable Baseball Style Snapback Cap with a Purple Paisley Flat Bill Visor, from Top Level! 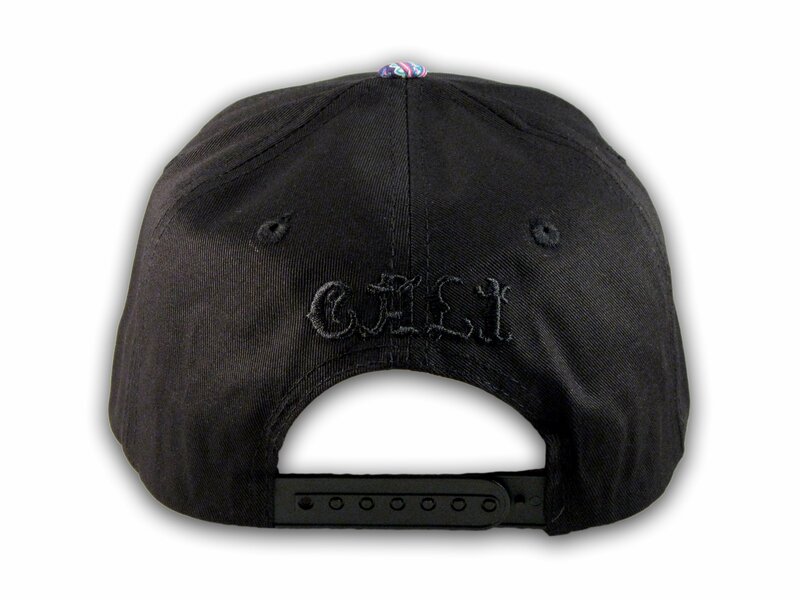 Underside of visor is black.